Do you belong to a neighborhood association, place of worship, or other local organization that might be interested in learning about BMAV? Or maybe you live in a multi-family complex where we could drop off brochures or send out membership information to an email group? Please let us know and our Executive Director or another representative will be glad to come speak at a meeting or forward materials. 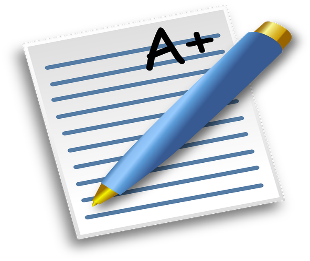 Thank you to all who responded to our member survey calls, emails and letters. We have put in place many of your wonderful suggestions for programming and our Services and Volunteer Committees are looking at new services for full members to be launched soon. We especially appreciate those who offered to help start a new special interest group or host an event. If you would like more information on ways to become involved, just let us know. Through your involvement we can together create a bigger and stronger community. We look forward to hearing from you and thank you for your membership and involvement. In response to requests from members, BMAV has launched a Tech Tutors program - a series of small group classes on technology topics for our full and social members. Our first event was a presentation in June on "What is social media and how do I use it?". In July we had a private session with an Apple store educator on how to optimize use of our iPhones and iPads. And in August, BMAV members were able to bring in their devices and have one-on-one time with area high school students fluent in technology. Trained students answered members’ questions on organizing their email and photos, how to turn on and off notifications and apps, how to use Instagram, text, and much more. On September 13 we will have a presentation by a Little Falls Village member and Uber driver on how to use Uber and Lyft ride sharing services. Did you know that you do not need a smartphone to access them? Join us from 1:30-2:30 at Bethesda Chevy Chase Regional Services Center, 4805 Edgemoor Lane, to find out more. · Potluck club happy hour, Sunday, August 27, 5-7 pm, at the home of Lynn Barclay. Each person who comes would bring wine, an appetizer or dessert. Contact Lynn at barclayda@earthlink.net if you’d like to participate in this first-time event. Other potluck gatherings could be dinner or lunch. · Rain Garden Tour and Tea, Friday, September 8, 10:30 am -12. RSVP to BMAVillage@gmail.com or 240-630-2628. Tour Elizabeth Torrey’s and Bruce Kiracofe’s rain garden and learn what inspired them to install it and how they did it. Rain gardens use native plants and design techniques to help reduce stormwater runoff. For more information on rain gardens see www.rainscapes.org. This is a kickoff for our Gardening Special Interest Group, but any member is welcome! · Tech Tutors – Ride Share Apps, Wednesday, September 13, 1:30 - 2:30 pm, BCCRSC, Room B, 4805 Edgemoor Lane. RSVP to BMAVillage@gmail.com or 240-630-2628. Presented in conjunction with Little Falls Village. · Monthly social and happy hour, Thursday, September 14, 4:30 - 6:00 pm, Mon Ami Gabi, 7239 Woodmont Ave. Join other BMAV members for discounted cold drinks, snacks or a light meal. This happy hour idea has been so popular that we are going to do it monthly! No RSVP necessary, feel free to come alone or bring a friend or neighbor. · Senior Cinema at the Avalon Theatre, Thursday, September 21, 10:30 a.m., 5612 Connecticut Ave, NW. First run movies discounted to $5. Titles announced one week prior www.theavalon.org/programs/senior-cinema/. Join BMAV members for coffee at 10:00 and stay for the movie at 10:30. · National Park Seminary Tour, Saturday, September 23, 1:00 - 3:00 p.m., Forest Glen Seminary, 2755 Cassedy St., Silver Spring. Come tour this unique historical gem with architecture from around the world, all on one campus. Save Our Seminary, who with the National Trust and Montgomery County saved this 1887 architectural gem from demolition, will be giving a guided walking tour. $5 payable directly to SOS. BMAV members will carpool, please RSVP for details. For more about the history of the Seminary location see www.washingtonian.com or www.operant.com/seminary/. · Author’s talk - Bonnie Friedman on "Hospital Warrior: How To Get The Best Care For Your Loved One," Sunday, September 24, 2:00 - 4:00 pm, Bannockburn Clubhouse, 6315 Bannockburn Drive. Several Bethesda-area villages are together hosting this talk on navigating hospital culture. “Hospital Warrior” is a comprehensive, easy-to-use guide with tips, insights and advice on how to navigate the hospital environment and culture, drawing on Friedman's 24 years of experience advocating for her husband through 14 hospitalizations. 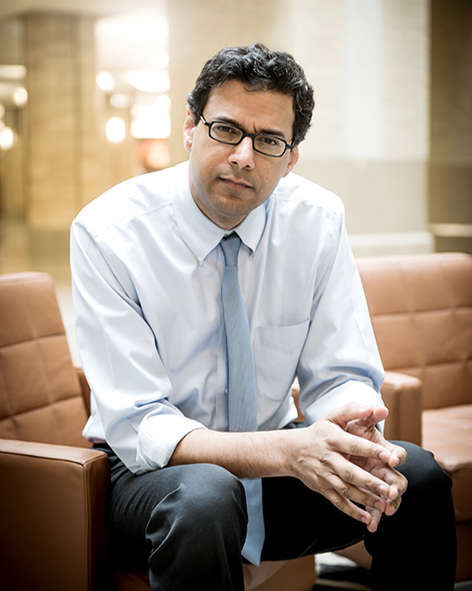 · Atul Gawande, on "Being Mortal's Village: The Value of Community and Choice as we grow older," Monday, September 25, 4:30 - 6:30 pm, at a member’s home. BMAV will “virtually” join Beacon Hill Village in Boston for a lively conversation about community and choice in aging with renowned surgeon and author Atul Gawande. The author of “Being Mortal” will give a talk followed by a discussion moderated by Robin Young, host of NPR’s Here & Now. The discussion on aging, living life with purpose, and how we can transform the possibilities for the later chapters in everyone’s lives, will be simulcast to over 150 villages, including BMAV, at 5pm. All members are welcome at 4:30 for refreshments, in anticipation of viewing the 5:00 lecture on a large TV screen, and will be able to socialize after it ends at 6 p.m. RSVP to BMAVillage@gmail.com or 240-630-2628. Bridge. Contact Elizabeth Haile, director@bmavillage.org, if you’d like to join. Intermediate or beginner level. Knitwits. Get together to knit together. We meet monthly and all levels welcome. ContactHanne Caraher, hcaraher@verizon.net. Aging, dying and death. Next meets Sunday, September 17, 4-5:30 pm, at the home of Chris Palmer. Rosalind Kipping from Compassion & Choices will be speaking on ensuring self-determination at the end of life, what is a good death, and communicating one’s wishes to one’s family. We will also discuss Five Wishes, a living will that talks about your personal, medical and emotional wishes. For address and more information, contact Chris at 202-716-6160 or palmer@american.edu. Foreign language conversation group. We have enough members to start up an Italian group where you’d have the opportunity to maintain or refresh your language skills and discuss current events. Contact Elizabeth Haile, director@bmavillage.org, if you’d like to meet up with this group or for another language. or by calling 301-314-8219 to speak with Addie Beatty, the coordinator for the Golden ID program. · The Village to Village Network has set up a series of call-in seminars open to all our members on various technologies. The seminars are recorded so you can watch them anytime on your computer and listen through your computer speakers. Go to vtvnetwork.org/webinars and click on the title of the topic you are interested in to watch the recorded seminar. Clicking on “TechBoomers” for any subject will take you to a website with further tutorials and videos. In addition to the Facebook, Twitter, Excel, Gmail and Lyft tutorials already online, Village to Village will be adding tutorials on: YouTube, FaceTime, Skype, Microsoft Word, iPhone basics, WebMD and internet security. o Live and Learn Bethesda has periodic computer classes in classrooms at Bethesda Chevy Chase Regional Services Center. See http://liveandlearnbethesda.org/ for more information and fall catalog. o OASIS offers classes for seniors in their offices at the Montgomery Westfield mall. 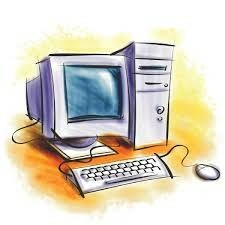 Check www.oasisnet.org for listings of topics, including one-on-one computer tutoring. o The Apple store on Bethesda Row and in Montgomery mall also offers free workshops. Workshops require advanced registration with your Apple ID. Search for classes at https://www.apple.com/today/ . If you would like assistance accessing any of these resources, email Executive Director Elizabeth Haile, at director@bmavillage.orgor call 240-630-2628. Do you know someone who would like to volunteer with BMAV? Volunteering is a wonderful way to contribute to your community. It is not necessary to be a member or be over 50 years old to volunteer. We encourage members to include their younger family members and acquaintances in our volunteering activities. Residents of areas outside BMAV boundaries may also apply to serve BMAV members as volunteer service providers. You choose how and when you want to volunteer and always have the right to turn down a request. You can help as a driver, with friendly check-ins (phone and/or visits), or do light home repair tasks. Out of respect for our members, in order to become a volunteer service provider you must first be vetted and undergo a background check. This is a simple process for most and the fees are covered. Please contact the office to learn more and get a volunteer application form, or go to our website at www.bmavillage.org. Just let us know at director@bmavillage.org or 240-630-2628. We look forward to hearing from you! While Executive Director Elizabeth Haile is filling in for our newsletter editor, Lynn Barclay, this month, send any questions or comments to director@bmavillage.org. You can also contact Elizabeth to opt-out of receiving future newsletters from us.